We are living in fast-paced world where everything must be done according to the deadline that is being given to us either by our employer or other people who needs our services or presence in a specific period of time. It is truly hard to keep up with all the functions that we need to do that we sometimes overlook details that may affect our way of life, daily functions, and overall work performance. 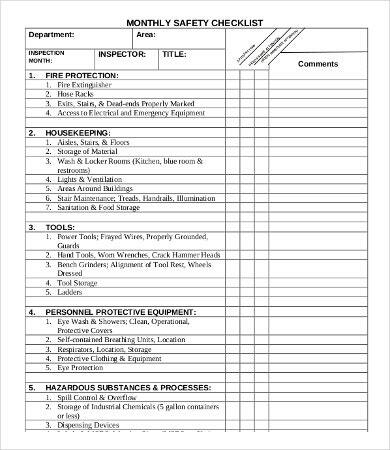 A monthly checklist will help us in assuring that we do not forget anything that is needed to be done as it allows us to know the items that we should do in a specific period of time. 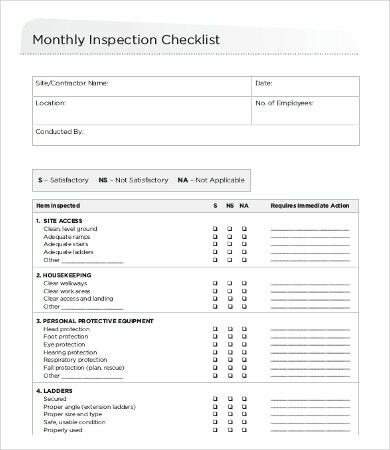 You may browse through our Checklist Template and see which of them may apply to the functions that you need to attend to every month. 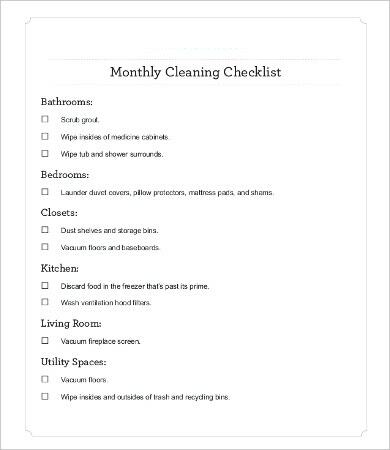 What Is in a Monthly Checklist? 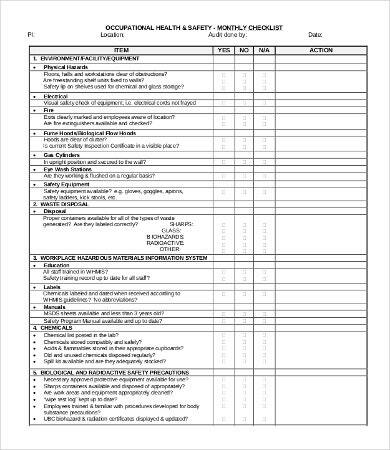 It helps you to know the things that you need to do which improves your work ethics and how you manage your time. It will allow you to book specific dates for a schedule so that you may not commit to other functions on specific days and times. 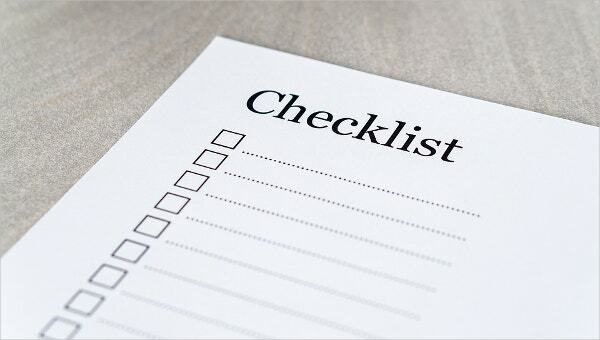 A monthly checklist will help you create priorities. 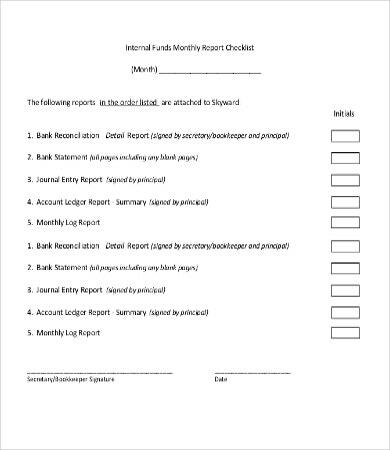 This document will let you have an overview of the things that are to happen within a month which will enable you to prepare more. 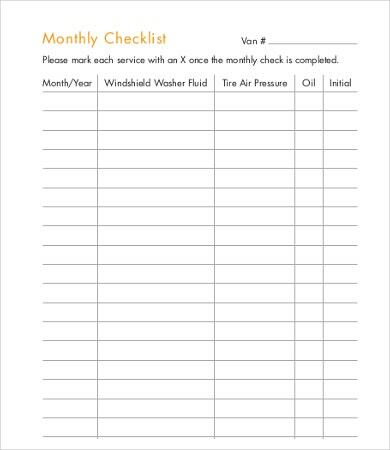 Other than our monthly checklist templates, you may also browse through our Blank Checklist Template to serve as your guide in creating a monthly checklist and our Daily Checklist Template should you be needing a more precise and itemized checklist for your schedule. 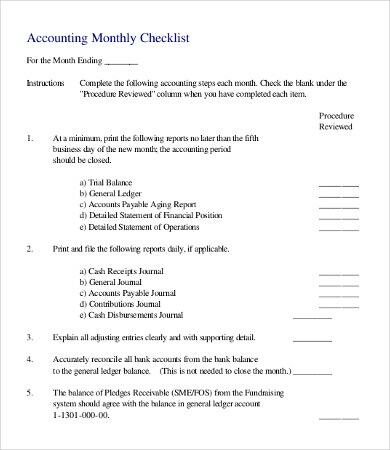 You may use our monthly checklist templates and samples as references should you think that you need the document for the betterment of your functions on a monthly basis. 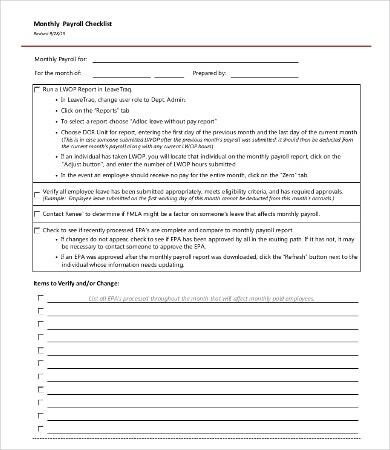 Also, you may view our Maintenance Checklist Template and use it for the purpose on why it has been made.